While studying Youth and Community Work at the University of Ulster (formally the Ulster Polytechnic) between 1977-79, Mullan spent his 1979 summer holiday’s in India, where he visited Mumbai (formally Bombay), Bangalore, Thiruchirapalli, and the Holy Family Hansenorium at Fathima Nagar, Tamil Nadu, in the deep south of the Indian subcontinent. There he met a young doctor, Dr. Jacob, who invited Mullan to observe and photograph a series of operations he was conducting on various patients. 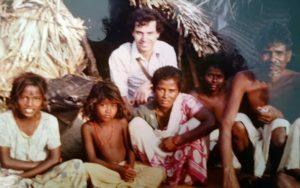 What impressed Mullan most was that Dr. Jacob could have chosen a lucrative position in a Western hospital, yet he chose to remain in India where he literally performed miracles is helping young leprosy suffers regain the use of their limbs, especially their fingers and hands. Before Mullan left the Hansenorium, a young married couple who had met at the hospital, and who had been cured by Dr. Jacob, presented Don with a painting which the husband had painted. It depicted a deer standing by a brook in a tranquil valley. Across the painting, in Tamil, were the words from Psalm 23: 2-3: “Near restful waters he leads me to revive my drooping spirit.” Mullan retains and cherishes the gift to this day. with Truth”. 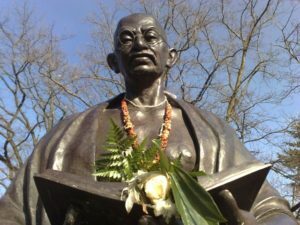 Mullan was deeply moved by Gandhi’s fortitude and commitment to non-violent change, particularly his emphasis on active non-violence over pacifism. By coincidence, Mullan was in India when the IRA killed Lord Louis Mountbatten on 27 August 1979. He was deeply moved by the outpouring of grief and sadness with which the Indian people greeted the news. As Britain’s last Viceroy to India, who had overseen India’s Independence, it was clear from newspaper coverage and his conversations with Indian people that Louis Mountbatten was remembered with deep affection and respect. Catholic youth worker had been assassinated the year before, less than a mile from his preferred Youth Club, on Belfast’s Ormeau Road. One of his assignments was an essay on a group of students he worked with. 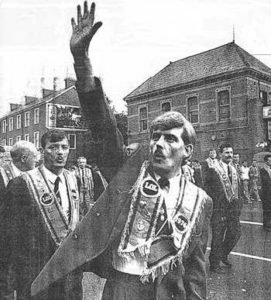 Amongst these was a youth named Joseph Bratty, who was latter assassinated by the Provisional IRA just weeks before the 1994 IRA ceasefire, in retaliation for his involvement in the murder of Catholics living in the vicinity of Lower Ormeau Road. 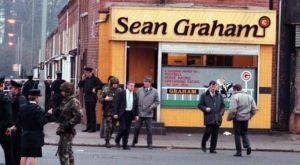 Bratty was suspected by security forces of playing a role in, or at least orchestrating, around 15 killings, including the Sean Graham’s Bookmakers Massacre, in February 1992. Following a presentation at Bologna University, Italy, Mullan was asked to contribute his 1978 essay to their media archives, detailing his experience, which can be accessed by clicking here. In 2015 Mullan was contacted by one of the youth mentioned in the essay, ‘Sammy’, who had found the essay on-line, and both he and Mullan have rekindled their friendship. Don Mullan began his working life, aged 19, as a successful insurance salesman for Canada Life. However, he quietly resigned his position on ethical grounds. He also worked as a night porter at the Everglades Hotel, Derry, and as a clerical officer at Altnagelvin Hospital, Derry, responsible for coordinating hospital maintenance, before resuming full-time studies at the Ulster Polytechnic (University of Ulster) Jordanstown, in 1977.